We must have grown hundreds of sunflowers over the years. But we still get a real buzz when the first seedlings of the year push their heads above the compost. We can’t help ourselves: the sight of this one was greeted with a loud whoo hoo. 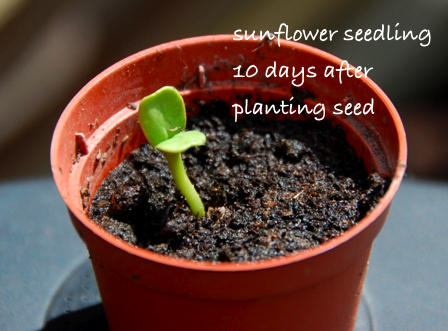 Categories: sunflowers | Tags: seedling, sunflower | Permalink.